It’s been an interesting week in UFO land. The announcement of a UN Ambassador to represent humans should we contact aliens was announced and then retracted only a day later. A bunch of retired former US Air Force and Military personnel came clean on CNN about their experience with UFO activity above nuclear facilities over the years. And today, NASA announced that they’d found an extra solar planet in the sweet zone close enough to a sun to support life as we know it. Aliens don’t necessarily come in human form. There’s some evidence to suggest that the human form – with our poseable thumbs and huge brain cavity – is the best form for trudging around a rocky planet, but why does every single alien have to look like us? Well. Some entities don’t look like us at all. Read this BLOG entry from our friends in Finland. What’s fascinating about near Earth objects is that they suddenly appear out of nowhere. This little missive – 30ft in diameter – circles us every 365 days (precisely and perhaps co-incidentally) and yet nobody knows what it is or where it came from. It passed between us and the moon recently. Had it hit the Earth, it would have exploded safely above us with the force of a small nuclear bomb. And it’s not alone – this wayward traveler. It has over 2 million friends. When I heard about AL, I experienced a kind of wild excitement. I wanted it to be a UFO. Ever since I was a little boy, when things weren’t going well for me, I always imagined I would be whisked by Aliens to far off planets. The beings there would teach me new and amazing things about the universe, our place in it and possibly even reveal the existence and whereabouts of God. When I eventually read the Barney and Betty Hill abduction story (in “The Interrupted Journey”) I was 15 and a little jealous. They got to ride in a spaceship. A 30 foot spaceship – much like 2010 AL30. Maybe it’s not a meteor, space junk or just a wayward rock. Maybe it’s a dead spaceship. 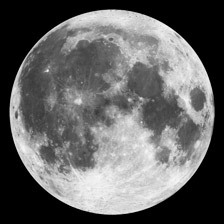 The dark side of the moon always faces away from us (this is actually because the heavier elements in the moon have fallen Earthside). A human female’s menstrual cycle matches the phases of the moon. Our planet is situated in the perfect location for life on Earth. Might AL be a dead ship caught in the flotsam and jetsom that floats between Earth and the Sun? Perhaps it’s a container like the one in Clarke’s “Rendezvous with Rama?” I’m kinda hoping it’s something interesting. It’s getting a bit boring down here, Guys. Can you give us a show or something?